Sometimes people divide music into two categories such as a "rock" and "girl rock", which is sort of a way for people to downplay music made by women, in a world where music made by men should not be the standard. Of course you should only listen to the types of things that you love, but most don't know what they love until they here it, so it's important to try everything. These are some recent, underated pop / rock/ punk / grunge / soft indie / alternative songs that give me goosebumps . . . written by female artists. 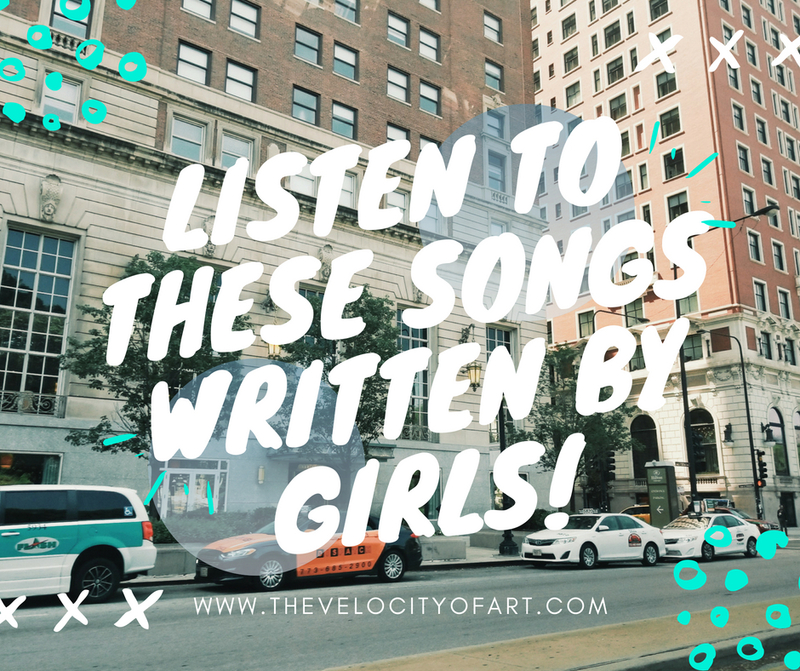 Here is a spotify playlist for easy access to the songs, and you need to listen to them RIGHT NOW!! Music of all types are important but if you find yourself looking for something new, these songs are top notch. Do you enjoy this type of music? Should I make more playlists? Let me know and give these artists some love! I should also listen to more woman-fronted bands. So many well known rock bands are all men. I haven't listened to the full playlist yet, but I'm enjoying the first few songs!